In the backend, go to Extensions->Plugin Manager and open the Paypal Paymentsplugin. (type=j2store). Now you can see the Paypal Payments as an option during the Check out process. This is your original paypal email/merchant email address, which you have used in Paypal. Enter the API username associated with your PayPal live account. Enter the API password associated with your PayPal live account. Enter the API signature associated with your PayPal live account. The URL selected here will be set as dynamic IPN url instead of the URL which you have configured in your PayPal account. If you are using any firewall like Admin Tools PRO, you might have to add exception to IPN url you have selected to use. PayPal does a server-to-server remote post. Most firewalls will block remote post requests. You can collect a percent of the total order value as surcharge / fee for using the Paypal option from your customers using this option. You can enter a value here (for example: 2 ). If you enter 2 here, then 2 % of the total order value will be added as a handling cost to the order. NOTE: DO NOT enter any symbol like % here. Leave empty if you dont want to charge. 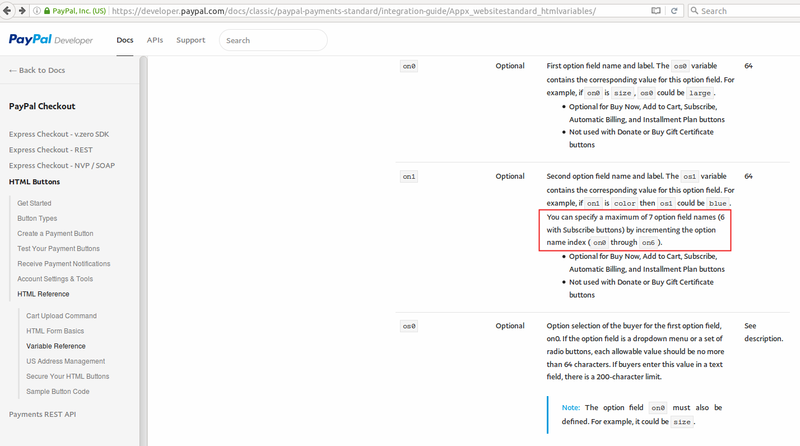 You can collect a fixed surcharge / fee for using the Paypal option from your customers in addition to the order value. You can enter a value here (for example: 2 ). If you enter 2 here, then 2 will be added as a handling cost to the order. Use SSL to post back to Paypal? Paypal offers a testing suite called Sandbox. Before going live, you can test your store using the Paypal's sandbox feature. Read more about Paypal Sandbox at developer.paypal.com. Enter API username associated with your PayPal sandbox account. Enter API password associated with your PayPal sandbox account. Enter API signature associated with your PayPal sandbox account. You can create an article to say thanks, provide some information or instructions to the customers, who purchased in your online store. Enter the Article ID here. This will show,when customers return from the paypal. What the button on the PayPal site reads after the user has completed his transaction. Leave empty for the default 'Return to the merchant website' text. The URL to your logo so. This image will be displayed on the top of PayPal's checkout page instead of your merchant name. WARNING! It must be an HTTPS URL, otherwise your clients willreceive warnings about insecure content. This is an optional setting. The URL of the 150x50-pixel image displayed as your logo in the upper left corner of PayPal’s pages. Default: your business name (if you have a Business account) or your email address (if you have Premier account). If this is not working, try using the Custom Header Image param above. The text entered here will be displayed to the customer after he makes the payment. You can enter a language constant as a value here if you are using a multi-lingual site and then write a language override. 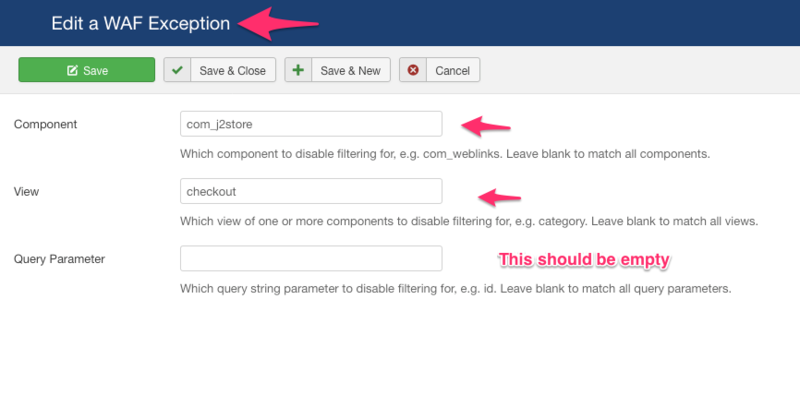 Refer the Display text on selection parameter. 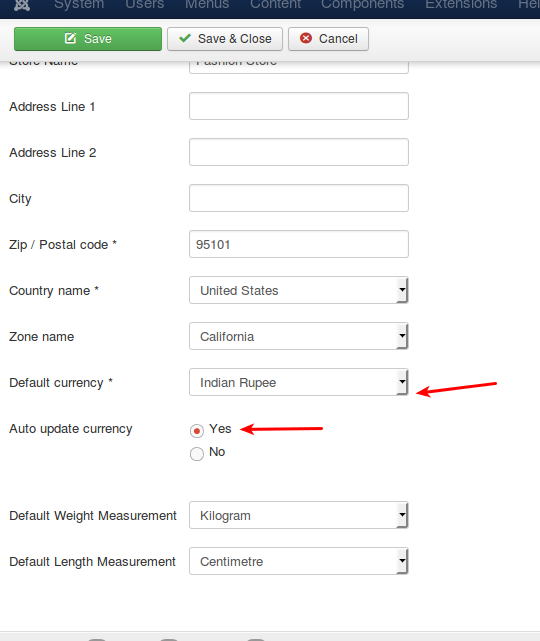 How to enable IPN Notification in your PayPal account. Still having problems receiving IPN or intermittently not receiving the IPN? Since J2Store 3.2.21, we have introduced a fail-safe method to collate PayPal Transactions. There could be a hundreds of reasons why PayPal did not sent the IPN or why your site did not receive the IPN. The listener in the plugin is always active and ready to listen. If Paypal sends IPN, it will listen and process. That is it's job. NOTE: It is purely optional to implement this fail-safe mechanism. This is not a necessary step. If you are too anxious and doubt that your site is not receiving the IPN, you can implement this. How do I implement this fail-safe method ? It means you are not getting the Instant Payment Notification (IPN) from Paypal. If you have a firewall like Admin Tools, then you can add Exceptions. Please consult with your firewall provider or with your host. If you are using the Admin Tools PRO version, you will have to exclude the [IPN urls mentioned above](#enable-ipn) If your site or your hosting server has a firewall (you can check with your host), then you may have to whitelist the Paypal's server IPs Here you can get a list of IPs used by the Paypal servers https://ppmts.custhelp.com/app/answers/detail/a_id/92 Paypal makes a remote post (IPN) to your site when a payment is made to inform us that payment has been made and you can mark the order complete. Firewalls normally block remote posts. So we may have to whitelist the IPs allowing them to do the remote post. Go to Global configuration -> Server tab -> Database settingAre you using the MySQL PDO driver ? If yes, please take a backup of the site and choose the MySQLi driver. The PDO driver of Joomla has a bug. Instead of returning a boolean value on table update as mandated by the interface, it would return a record set, causing issues. Paypal has recently rolled out their cool " New Checkout! " Specified Character length for address fields, Product name and Product options. Length varies based on fields and is specified on their integration guide. Number of product options sent to paypal are limited to 7 options. We have updated the paypal plugin with fixes for these new technical restrictions. Please make sure you update your paypal plugin to latest (v.3.4)With this update if you have used more than 7 options then the first 7 options are passed to paypal and others are ignored. Similarly if the product option character length is larger than allowed by paypal, those values are trimmed (cut off). This will make sure you do not get any errors and customers will continue to see checkout screen without any issues. NOTE: Please take a backup before updating the plugin and test after installing. You might have enabled the Encrypted Website Payments. Try the following steps to solve this. Also check if your PayPal account is approved to receive payments. All firewalls including the Admin Tools PRO would normally block any server-to-server remote POST requests. PayPal sends the IPN callback notification as a remote POST request immediately after the customer makes the payment. Why the paypal payment form not works ? It seems due to the param "Block non-encrypted Website Payments" has been enabled inside your paypal account settings. Disabling this param will solve this problem.